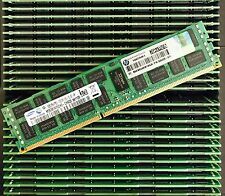 DDR3 1333MHz. 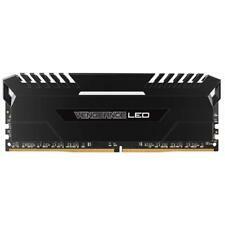 PC3-10600R DDR3 1333Mz CL9 ECC Reg. HP G6 G7 Servers and Workstations. IBM System x3400 M2 7836, 7837xxx: IBM System x3400 M3 7378, 7379xxx. IBM System x3500 M3 7380xxx: IBM System x3550 M2 4198, 7946xxx: x3550 M3 7944. Lenovo part number 0A89482. 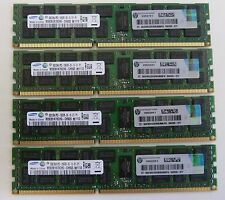 (4x8GB Dimms) PC3-12800R 2Rx4 ECC REG. DELL Part Number R6JR0. 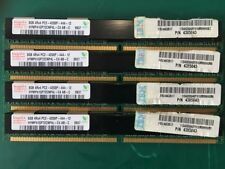 (4x8GB) PC3-12800R 2Rx4 ECC REG. 32GB for DELL Poweredge Servers. Founded in 1981, we are expert suppliers of new and refurbished HP IBM and DELL server hardware. Why buy refurbished hardware from RockHall?. T5500: T5550: T5600: T7500: T7600. DELL Servers and Workstations. Precision Workstations. Spare Part 591182­001 Assembly 460838­003 Version 3.04. Z620 Z820 Workstations ( will not work in Z420 ). Will not work in HP Microservers. T410: T610: T710: C1100: C2100: C6100: C6105. BL660c blade server DL160 DL360e DL360p DL380p DL380e DL385p DL560. DELL Servers and Workstations. Spare Part 591182­001 Assembly 460838­003 Version 3.04. 32GB (4x8GB) for Supermicro Servers. IBM PART NUMBERS 00D4987 47J0210. PC3L-10600R 2Rx8 ECC REG. 32GB (4x8GB Low Profile IBM Dimms). Founded in 1981, we are expert suppliers of new and refurbished HP IBM and DELL server hardware. 4x8GB PC3-12800R 2Rx4 ECC REG Dimms. 32GB for Lenovo Thinkservers. Lenovo Part Number03X4325. 2 x 16gb kit 4X 8GB 32GB 5300P 2Rx4 PC2-5300P ECC RAM hypertec. Any hard drives (if included) have been data wiped and work. 32GB (4x8GB). DELL PART NUMBER A5835245. Compatible with the following DELL Servers and Workstations. Founded in 1981, we are expert suppliers of new and refurbished HP IBM and DELL server hardware. Why buy refurbished hardware from RockHall?. 32GB (4x8GB). Compatible with the following HP Proliant G6 G7 Gen8 Servers and workstations. HP Part Number. Founded in 1981, we are expert suppliers of new and refurbished HP IBM and DELL server hardware. DL360 DL380 DL385 DL560. DL370 DL380 e and p DL385 DL560 DL580 DL585 DL980. HP Proliant G7 Gen8. Compatible with the following HP Proliant G6 G7 Gen8 Servers and Workstations. DL1000 DL160 DL165 DL160 SE DL180 DL320 DL360 e and p.
SNP9RN2C/8G A6199968 A4105730. DELL Poweredge Servers. DELL Precision Workstations. Founded in 1981, we are expert suppliers of new and refurbished HP IBM and DELL server hardware. Will not work in R310. SNPXR5MC/8G 99L0305 P994921. DELL Part Number. HP Part Number 500205-071 DELL Equivalent SNPXR5MC/8G. Founded in 1981, we are expert suppliers of new and refurbished HP IBM and DELL server hardware. Module Capacity 8GB. Rank - 2RX4. Storage Size - 32GB. Dell PowerEdge is a trademark of Dell Inc. HP is a trademark of HP Inc. PowerEdge is a trademark of Dell Inc. Manufacturer - HP. (unless otherwise stated). HP 32GB Kit with 4 x 8GB matched sticks. This fits many servers from Dell, IBM and HP. HP Part No50020-071. Pictures show the item and this is what you will receive. DDR3 1333MHz. For DELL HP IBM Lenovo Servers and Workstations. Founded in 1981, we are expert suppliers of new and refurbished HP IBM and DELL server hardware. HP Part Number 500205-071. 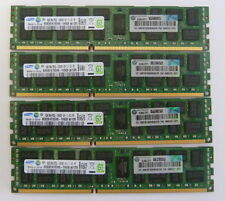 32GB = 4 x 8GB Samsung PC3L-8500R M393B1K73CHD-YF8 Server/Workstation RAM. 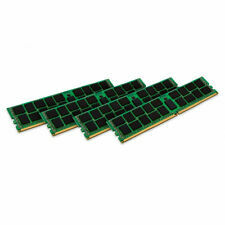 Type: 240-Pin DDR3. Speed: DDR3 1600 MHz (PC3-12800R). We will try our best to solve any problems. Ruturn Policy. DL380 G6: DL385 G7: DL580 G7: DL585 G7: DL980 G7: DL1000 G6. DL160 G6: DL160 SE G6: DL165 G7: DL180 G6: DL320 G6: DL360 G6 & G7: DL370 G6. BL660c blade server DL160 DL360e DL360p DL380p DL380e DL385p DL560.